There are many kinds of oil that we regularly use in our lives to achieve different results. 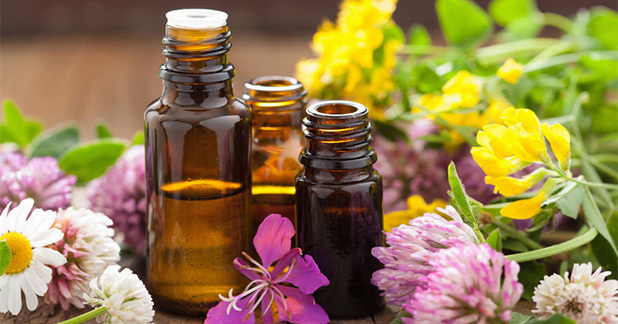 Essential oils however are not just used to improve skin conditions or hair, in fact, it is used to relax muscles and can help in reducing different kinds of conditions. Just like adults, our kids also need such aromatic essential oil to relax and sleep calmly or to help with conditions like colic or dry skin. Six-month old babies are supposed to be given an oil massage on regular basis in order to keep them relaxed and help them with their sleeping routine. While many essential oil can help in a baby growth, there are certain oils that are to be avoided because either it’s too strong for the baby or simply not good for their health. Essential oil has been a reliable and trusted source of relaxation for thousands of years. It is harder to get natural oil these days, as most companies are mixing chemicals into it so while you are at it, make sure you check the label and read the ingredients before buying any such essential oil for your babies. It might not show much reaction on an adult but for a baby it can be a disastrous experience as the skin is new to such products and delicate. Pure, authentic and unadulterated essential oil should be preferred for a baby as mixing might irritate their skin and cause them rashes. Essential oil are not to be used directly to the skin there should be a carrier oil to mix with it before using it on skin and there is a certain dilution ratio and a way of applying this oil before they are applied to skin . Babies however are more sensitive to this topic. Babies should not be made to drink or ingest these oils as it is unsafe for a baby. Instead it should be used as a topical. Vegetable oil, coconut oil and almond oil can be used as a base oil for mixing as it brings its own qualities along with it and moisturize the skin and help in anti-aging for adults. While essential on babies under six months is strictly forbidden, the dilution ration, according to the National Association for Holistic Aromatherapy (NAHA), for babies is 0.5 to 1. While the ratio for adults is 2.5 to 10 percent as babies skin is more sensitive thn adults. As diluted essential oil can also cause skin irritation and sun sensitivity, it is recommended that one should first perform a spot test on a small area for confirmation of no allergic reaction. There are a few essential oil that mentioned below that can help in baby growth. Lavender can be used to calm many symptoms as in reducing itchiness and can be used on insect bites. It is known for its calming effect and helps the baby stay relaxed and help them sleep more. Though those that are allergic to any thing lavender ( like me ) can get a very bad allergy from it so better safe than sorry, a spot test for sure to make sure if your baby is allergic or not. A natural expectorant, it is used in curing cough and other respiratory symptoms. Its uses include being an anti-inflammatory, antispasmodic, decongestant, deodorant, antiseptic, antibacterial, stimulating, and other medicinal qualities. And thus it is mostly used in cold weather. There are two types in this oil. One eucalyptus radiate that can be used on babies while eucalyptus globulus is safe for adult but not for children under two. It can also help them relax and sleep well at night. Thought the face should be avoided in kids under 10 year old. The basic components of dill essential oil are D-Carvone, Dillapiol, Eugenol, Limonene, Terpinene and Myristicin. Dill seeds are known to be having healing power and been used for it since ancient times. It is also used as Antispasmodic and helps with spasm of different body parts. It can be used on wounds of babies and help it heal. It also works as a carminative for babies and if taken regularly it helps grow Galactogogue in the mother breast which helps in making more milk. Tea tree oil is known for its anti-acne properties and are used in different skin products that helps in healing the skin from conditions like eczema or dermatitis. It can be used in addition to other oil to cure early eczema and skin problems in babies. It helps in relaxing the skin causing to stop the inflammation. Mandarin oil also does almost the same effect as chamomile as it helps in relaxing the baby and thus boosting long sleep hours. Both of them together can do wonders for one baby. Two drops of chamomile in mandarin oil with a sweet almond as a carrier oil can help the baby get better sleep and thus grow healthier with time.